At our Waldorf outpatient imaging facility we strive to provide you with the quickest and most accurate test results using state of the art technology. This imaging center offers a 1.5T Wide Open MRI, 3D mammography, 3D/4D ultrasound, PET/CT, DEXA bone density scan, X-ray, Fluoroscopy, and other procedures. Easily accessible from the PF bus line at the Cambridge stop, this imaging center is located just off of Old Washington Road and in close proximity to Charles County Plaza Shopping Center and the Shops at Waldorf Center. 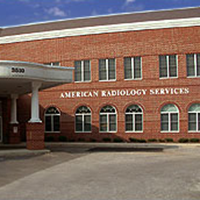 Call American Radiology Services | Waldorf today to find a convenient appointment time for you.